It's 幫, 邦 is a city-state. 幫 (bang) is usually translated in the case of wuxia as brotherhood or gang. It's a loose grouping of people under one organization, but not necessarily all in the same place. The Beggar's Sect, for example has people all over the place. Bang also is a measure word for groups of people, so you can see how it could be used as word for group. 匪幫 (feibang) means bandit gang. 派 (pai) is a school or sect, group, faction. Can be used for a religion or even a school of thought. Wudang is a pai, which is usually translated as sect. A sect is united by common interests of beliefs, sets of rules, etc. Therefore you can also use clan. 會 (hui) means society, association, union, a grouping of people who have come together because they have or share common characteristics or goals or beliefs. You may have noticed there is a lot of overlap in these definitions. 門 (men) is short fot 門派 (menpai) which means school or sect. Basically interchangeable with 派, yet 門 can also refer to a family-run school, though it can be used for religious sects as well. 教(jiao) in the context of organizations refers to some religious sect. In wuxia this is usually translated as cult, especially if the organization is an unorthodox sect 邪派 (xiepai). Sun Moon Cult, for example. In English, cult nowadays has the connotation of a religious group that is extreme in its beliefs or practices. Adding to this info. From an old post in wuxiasociety. Original source of info is Laviathan from Spcnet. A more neutral translation for Jiao (教) would be religion, instead of "cult". So, per definition, a Jiao is always religious in nature. A Pai (派) is a school of arts. In Wuxia, a Pai is a martial arts school/style. the school can have a certain religious background, but it is not necessary the case. A Bang (帮) is an association, a brotherhood which is defined by a certain way of life/conduct, which is not religious in nature. Quanzhen, although Quanzhen is a martial arts school in its own right, the form of Taoism as founded by Wang Chongyang is a unique religious doctrine. The martial arts system as created by Wang is Quanzhenpai, which is in fact a subdivision of the Quanzhenjiao. Mingjiao, which is the Chinese name for the unique religion of Manichaeism. Shaolin, is a martial arts school with religious ties to the Buddhist Faith (Fojiao). Shaolin is seen as the birthplace of Zen Buddhism (Chanzong), but it does not hold the monopoly over this doctrine. But in the world of Wuxia, Shaolin martial arts form a unique school of its own, that's why they are a Pai instead of a Jiao. Wudang, same as Shaolin. A Taoist school of martial arts, with unique martial arts but not a unique religion. Huashan, martial arts school without a clear/defined religious background. Gaibang (Beggars Brotherhood), a non-religious organisation which has its roots in the community of beggars and vagabonds. Jujingbang (Brotherhood of the Whale), non-religious organisation which pursues the way of pirates and buchanneers. There are always "grey area" entities, however, like for example, the Haishapai (Sea Sand Clan). They call themselves a Pai, and all members of this school do practice a form of weapon (poisonous sand/salt) unique to their school. But this school is actually an organisation which produces and smuggles salt. So in that sense, it is more a Bang than a Pai. What makes Ming Jiao and unorthodox sect while Cheun Zhen an orthodox sect? Is it because Ming Jiao is foreign? The Persian religion of Manichaeism (Monijiao or Mingjiao) was officially introduced to China during the Tang Dynasty. It gained popularity in 762 when the leader of the Uyghurs, Khagan Mo-yu, converted to the Manichaeist faith. With Uighur political backing, Manichaeans established temples in the capital cities of Luoyang and Chang'an as well as in about half a dozen other Chinese cities. In the following decades, the popularity of Manichaeism reached its height, but in 841 the Uyghurs were defeated by the Kirgiz and its' empire fell apart. Having lost the help of their Uyghur patrons, Manichaeans soon found themselves to be the targets of the Tang government, which has suffered from humiliation by the Uyghur Empire. In 843 the expulsion of all Manichaean priests was decreed by Tang emperor Wuzong. Since then, Manichaeans were prosecuted and had to practice their religion in secret. Centuries later, during the Song Dynasty, a man named Fang La rose in revolt against the government and his rebellion spread rapidly in the south-eastern provinces. The area in which the rebels were active was also an area with a strong Manichaean following. Government officials then claimed that Fang La was a member of the sect, and that his followers were demon worshippers. (In HSDS, Jin Yong wrote that Fang La was the leader of the Ming Cult during the end of the Southern Song*) Government propaganda led to widespread belief that Manichaeism was an unorthodox, evil cult. The Quanzhen religion, however, grew from the combination of Taoism and Zen Buddhism (two doctrines which the Chinese people were familiar with) and soon, after its founding, gained the recognition of the Jin court and the Mongol rulers. That's why Quanzhen went to become the dominant Taoist school in Northern China, and remained the most influential branch of Taoism in China up untill today. -会, as in the Red Flower Society. What's the difference between this and a 帮 ? -世家, like a big family organization. Probably Nangong Shijia and Ximen Shijia are 2 of the most popular. 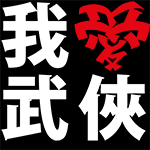 门 (men) is a martial arts school derived from the 派 (pai), hence 门派 (menpai). In Outer Stories of the Flying Fox, there's a school called 少林韦陀门 (Shaolin Weituo Guardian School). They themselves are the Weituo School, a sub-system of the Shaolin style. Strictly speaking, the head of a Men is called a 掌门 zhangmen (Keeper of the System) while the leader of the Pai should be called 宗主 zongzhu (Lord of the Doctrine), yet throughout wuxia literature these leaders are always called Zhangmen. - The leader of a Brotherhood is called a 帮主 bangzhu (Lord of the Brotherhood)，while the leader of a Society is called 总舵主 zongduozhu (Great Helmsman). - Compared to a Bang, a Hui society is much more religious in nature. Hui like the Heaven & Earth Society or Red Flower Society have their own mythology and patron deities (mostly made up recently). For the Red Flower Society, this was the Honghua Laozu (Red Flower Great Ancestor), while in the case of the Heaven & Earth Society their patron was Wan Yunlong (Ten-Thousand Clouds Dragon, the name of the deified Zheng Chenggong). A society thus has its own "unorthodox" semi-religion which is basically made up of certain superstitious practices and traditions to uphold the level of loyalty. A bang (brotherhood) usually doesn''t have this. - The level of structure and secrecy of a Society is much more strict than a Brotherhood. For example, non-members of the Beggar Brotherhood like Huang Rong and You Tanzhi were able to become leaders from scratch. This was also the case for the Changle Brotherhood in Ode to Gallantry, in which the brothers Shi Zhongyu and Shi Potian could become leaders with relative ease. In ROCH, the Beggar Brotherhood even erected a podium and invited non-members to compete for leadership. This is unheard of in a society. Chen Jialuo was able to become Great Helmsman only because he was the godson of the old leader Yu Wanting. Basically, it is much easier to become a member of a brotherhood than a society. 世家 or 武林世家 (a martial arts family): in the realm of martial arts there''s a saying "三代为家传，五代为祖传" (A transmission of three generation is considered a family martial art, five generations is called an ancestral martial art). For a family to become a true martial arts family, they should have experienced an unbroken line of succession of their family martial arts for at least three generations. In Jin Yong's world, the Duan family of Dali (Yiyang Finger) and Murong family of Suzhou (Shifting Northstar Technique) can be considered Wulin Shijia with ancestral martial arts. To a lesser extent, the Blossom Island bloodline (Huang Yaoshi - Huang Rong - Guo siblings), the Wu family (Wu Santong - Wu Brothers -/- Wu Lie) and the Zhu family (Zhu Danchen -/- Zhu Ziliu -/- Zhu Changling) are all martial arts families. Question: I think 5 Poison Jiao should be a 'pai' not a 'jiao'. They are know for the skill of poisoning, right? Not their religion. The organisation passed on a skill not a religion. The five venomous creatures of which the sect derives its name are revered as Five Deities. Although to the outside world they are only known for their poisoning,I think 5 Poison Jiao should be a 'pai' not a 'jiao'. They are know for the skill of poisoning, right? Not their religion. The organisation passed on a skill not a religion. within the sect there's a strong religious influence. The Five Poison Sect was active in the Yunnan and Guizhou provinces, and its members are all citizens from this area. The majority of the sect's members are indeed of Miao ethnicity, but it is said there are also Han Chinese followers and people from other minorities. I think the Ming Cult is "unorthodox" simply because it is different from the other schools in the wulin, and its practices are more secretive, which leads to speculation and rumors that the cult has some evil intentions or something, even though that is not the case. Orthodox schools are called 正派, unorthodox are called 邪派. 邪 can mean evil, but it can also just mean strange or odd, or heretical. Unorthodox simply means something that breaks from tradition or convention, so any school that is seen as different from the other schools would be "unorthodox". My personal feeling is that Ming Cult was deemed unorthodox because they came from Persia. Because people did not understand them, they were labelled unorthodox. I know that Shaolin is based on Buddhism which came from India. However, since the Tang Dynasty, at various times Buddhism had been favoured by the rulers and had it forced on the people. After a while, Buddhism was accepted in China. Ming was not forced on anybody, and did not have as long a history as Buddhism. Hence Ming was deemed unorthodox.